Know someone who loves sweet and savory treats? 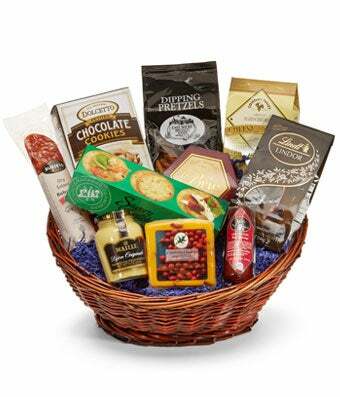 If you answered yes, don't hesitate to send them the Gourmet Deluxe Basket! It will blow them away. If you know they love surprises, have it delivered to their home or office for same day delivery! They will be stunned by the fine selection of treats you sent them. Even more, they will love the way they are proudly displayed in a woven keepsake basket. Please note: contents may vary.